SAN FRANCISCO—After hearing reports on the state budget and on progress in completing directives to restructure its staff agency, the Judicial Council approved a statewide water conservation plan, as well as a catalog of courtroom design layouts that will make court construction more efficient and cost-effective. The council also approved a water conservation policy that sets forth best practices and long-term goals for new and existing courthouses. 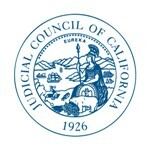 Justice Douglas P. Miller, chair of the Executive and Planning Committee, reported progress in implementing the council’s directives made in response to recommendations made by Strategic Evaluation Committee three years ago. Progress on all directives was examined in depth during a recent two-day review. “Of the 151 Judicial Council restructuring directives, 114 are now considered complete or closed, and 37 directives are pending—and 23 of those 37 will be completed when the classification and compensation study concludes, which will be very soon,” Justice Miller said. Trial Court Allocations: The council considered a series of recommendations from its Trial Court Budget Advisory Committee for allocation of funds in the coming fiscal year. The council approved a recommendation to reduce the $90.6 million of new funding provided in the 2015 Budget Act by the existing $22.7 million revenue shortfall before allocating the monies using the Workload-Based Allocation and Funding Methodology. It also approved a recommendation to allocate $13.4 million included in the FY 2015–2016 state budget for trial courts that made progress towards meeting the Public Employees’ Pension Reform Act of 2013 standard. This $13.4 million is a partial restoration of the $22 million funding reduction for trial court benefits costs called for in the 2014 Budget Act. Recidivism Reduction Fund Court Grant Program: As part of the Budget Act of 2014, the Legislature directed the council to develop and administer a competitive grant program for trial courts that supports practices known to reduce adult offender recidivism. The council approved recommendations to allocate the $658,000 that remained after an initial round of awards was approved by the council on Feb 19, as well as an additional $1.3 million allocation included in the FY 2015–2016 state budget. The added funding expands the total number of courts participating in the program to 32. 2015 Language Need and Interpreter Use Study: The council approved the 2015 Language Need and Interpreter Use Study for submission to the Governor and Legislature. The study, conducted by the National Center for State Courts, details interpreter use in the trial courts in fiscal years 2009–2010 through 2012–2013 and projects future language need. Implementation Steps Related to New Rule on Traffic Infraction Cases: The council approved amended notices to appear used in traffic citations as well as forms used for installment payment plans for traffic infractions. Recently adopted by the council, California Rules of Court, rule 4.105, requires that court notices and forms include information on procedures for appearing at court without deposit of bail in traffic infraction cases.